A police officer is being investigated for threatening for threatening to kill a young boy—but this is not the first time he has been accused of using excessive force or abusing a child. 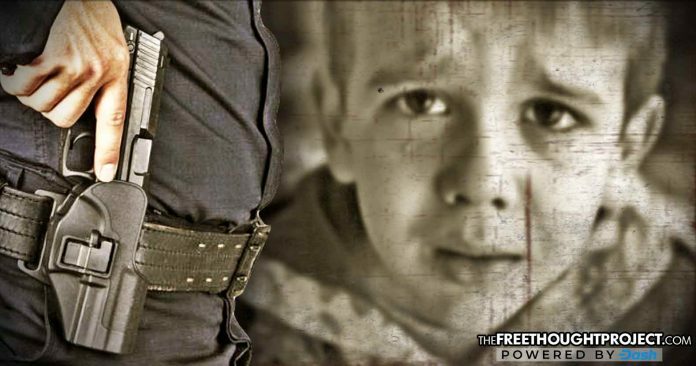 Carter County, TN – The sheriff’s deputy who is currently under investigation for pulling a gun on a 10-year-old boy and then throwing him to the ground, has a long history that includes accusations of excessive force and child abuse that were covered up and ignored by his superiors. Nick Andes was placed on administrative leave this week, and Carter County Sheriff’s Office Public Information Officer Thomas Gray confirmed that an investigation is being launched into accusations of misconduct after a 911 caller accused “a man with a badge of pulling a gun and throwing a 10-year-old to the ground,” and named Andes as the suspect. While the department has refused to release further information about the incident or the emergency call reporting it because there is an ongoing investigation, a report from WJHL News noted that this is not the first time Andes has been accused of pulling a gun and threatening a citizen, using excessive force, or abusing a child. Andes was hired by Carter County in 2012, and after just one year with the department, he was investigated for excessive force in 2013. He was accused of “throwing a handcuffed and detained juvenile against a wall and bathroom door and twisting his wrist,” according to the report. Andes was accused of excessive force once again in 2014 after a woman claimed he pulled a gun on her and threatened to kill her during a traffic stop. Victoria Grindstaff told WJHL that Andes pulled up behind her car and another car with lights flashing, and when both cars pulled over, the deputy’s encounter with Grindstaff made her fear for her life. “As soon as I got out of the car he said, ‘I want you to get your g****** f****** a** back in that car b**** or I’m going to blow your f****** head off.’ He told me that three times and he pointed this gun at me,” Grindstaff said. Grindstaff said she was treated like a criminal when she had done nothing wrong, and it left her feeling violated. “The way he spoke to me, the way he threatened me, he threatened my life and I was very scared. I was terrified. I went straight to the police the next day and filed the report. It was my word against his word,” she said. Before Andes worked as a deputy in Carter County, he became the only police officer terminated from the Washington County Sheriff’s Office for use of force in 15 years when he was fired for excessive force in 2005. Andes had been working as a detention officer for less than a year when he was accused of grabbing an inmate by his handcuffs, slamming his face onto the ground, and then shoving him against the wall at least twice. Andes was delayed in reporting the use of force, and when he finally did, he insisted that the inmate “resisted arrest” on the way to booking and would not stop talking. Records from the Tennessee Bureau of Investigation revealed that Andes was also investigated last year after he was responsible for fatally shooting a man who was wanted for aggravated domestic violence. As is the case with most officer-involved shootings in the United States, Andes’s actions were ruled justified. In a statement, Attorney Ryan Curtis blamed media coverage for painting Andes in a bad light—ignoring that fact that the deputy has done more than enough to accomplish that on his own. “Though the press may attempt to relitigate past allegations, a previous department examination of those allegations led to absolutely no finding of misconduct, which we hope will be reported,” Curtis said. However, it should be noted that police officers are found “not guilty” by internal investigations at an astounding rate, and even though the department may have covered up his actions in the past, the accusations that have been raised against Andes throughout his career are notable, and should be considered in the current investigation. Nick Andes fits the definition of a “Gypsy Cop,” and unfortunately, even if he is charged and convicted of pulling a gun on and assaulting a 10-year-old boy, he will likely face minor repercussions, and there is nothing to stop him from moving to a different county and obtaining a new job at another police department, where he will likely continue with the same behavior that he has used to terrorize the public throughout his career.